Rock Larochelle, originally from St. Paul in Alberta, has been teaching in the Francophone and Immersion schools in Edmonton for the past 29 years. He now works as an educational consultant in the integration of technology for the Conseil scolaire Centre-Nord. 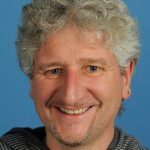 Rock is president and co-founder of the Opus@12 Chamber Concert Society, a network of almost 100 amateur musicians offering free chamber concerts in the community. Rock loves to play flute, piccolo and alto flute in musicals when his schedule permits. 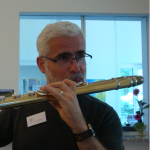 He has been studying with Liz Koch (Principal Flutist of the Edmonton Symphony Orchestra) for the past 12 years. He has also had the opportunity to study with Sir James Galway for 10 days in 2013 at the International Galway Festival held yearly in Switzerland. He is married to cellist Sharon Toronchuk, they have a daughter (Caroline) and a well-rounded cat named Luigi. 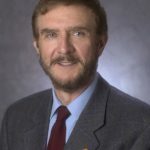 Violist Alan Dunn recently retired from a long career in professional engineering and public service to concentrate on music. He is co-founder, treasurer and past president of the Wye String Ensemble where plays ‘cello. He played baroque viola in the La Folia early baroque ensemble, viola in the original Concordia Symphony Orchestra and is an active French-Canadian/Celtic fiddler. Alan has studied under Josephine van Lier, Gillian Caldwell, and various other local string pedagogues as well as having regularly attended the WCAMS, and Wye music camps. Born in St. Albert, Julia Dolman began playing the cello at age 6. She grew up in a house filled with music and started playing chamber music with her three sisters at an early age. She studied with Grazyna Sobieraj and Diana Nuttall and was an active member of the Edmonton Youth Orchestra and the Kamara Quartet. Julia received her Bachelor of Music degree at the University of Alberta in 2011, under the direction of cellist Tanya Prochazka. During this time, she discovered a new passion for music history and decided to continue her studies with a Master of Arts in Musicology at the University of Toronto. 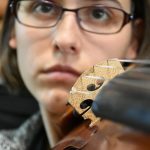 Her research focused on depictions of music in fiction literature and issues of gender representation in contemporary string quartet performance. 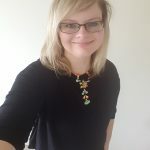 After graduating in 2013, Julia returned to Edmonton, where she now works as a grant writer for the Edmonton Symphony Orchestra & Francis Winspear Centre for Music. 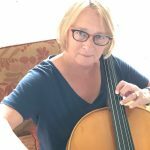 In addition to her day job, Julia teaches cello and performs as a solo cellist, with the Bel Suono Quartet and Kitka Quartet, and as part of various other chamber ensembles in the Edmonton area. Growing up in Vancouver, Frances began her musical studies on the piano, oboe and recorder family. However, she was always taken by the rich sound of the cello and, after moving to Edmonton, began a study of the instrument with Gillian Caldwell and, currently, with Josephine van Lier. She has been involved in a number of local orchestras, string ensembles and music camps. Maintaining a keen interest in the music of the Renaissance and Baroque, she also devotes time to the study of the viola da gamba family. She is currently playing the bass and treble gambas and, with other players, is dedicated to historically informed performance. Frances has recently retired from an active life in clinical psychology, with a focus on brain injury rehabilitation. Mitchel Rees is a born and raised Edmontonian, who currently has finished his Bachelor of Education at the University of Alberta. His love of music began when he was 13 when he first began playing the electric bass in the local heavy metal scene. At the age of 17, he made the switch to the double bass and hasn’t looked back since. He is currently pursuing a Bachelor of Music at the University of Alberta. 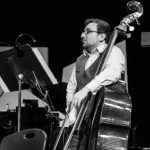 Mitchel has been the principal bass of the Edmonton Youth Orchestra, University of Alberta Symphony Orchestra, Orbis Symphony Orchestra, and the University of Alberta Symphonic Wind Ensemble. He studied under Ioan Tetel and is currently studying under Jan Urke. 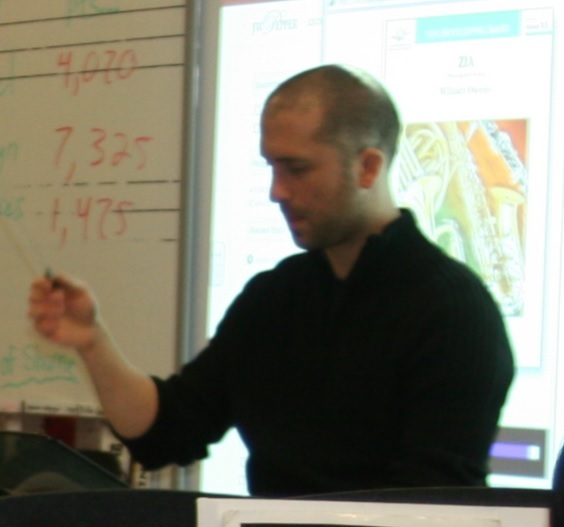 He has taught clinics in and around Edmonton, and hopes to spread his love of music to the youth of Edmonton. 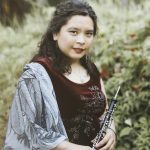 ensemble focused on late renaissance/early baroque vocal and instrumental chamber music, and also baroque oboe in Baroque ‘n’ Hearts, which specializes in instrumental chamber music of the high baroque. As part of the Opus@12 Chamber Concert Society (in which she is Vice-President), Stephanie organizes an amateur chamber music concert series, performing in it many times throughout the year. Aside from the music world, Stephanie has degrees in math and education, and a doctorate in theoretical and computational chemistry. Anna was born in Edmonton and resides on a beef cattle farm south-east of the city. She started playing the violin at age of seven, under various local teachers. She completed her RCM Gr. 10 in 2015 under Mr. Frank Ho. In 2013 she also took up viola (her favourite). She is currently studying viola under Mr. Clayton Leung and enjoying exploring the viola repertoire. 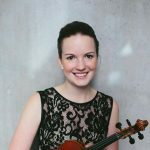 As part of her musical endeavours, she has enjoyed playing in several ensembles and orchestras including, the Wye String Ensemble, Opus @ 12, Edmonton Metropolitan Orchestra and a quartet, the Key of A, as well as violin/viola duos whenever she gets the chance. She also enjoys photography and hopes to be able to pursue that even more this upcoming year. Linnea Barisoff has been playing the violin since she was four years old, and piano since she was three years old. Linnea has studied with many violin teachers including Wendy Herbison, Josette Laforge, and Thomas Schoen and has studied piano and music theory with Tammy Francis. She has performed violin in numerous orchestral groups including The Rossland Light Opera Players in Rossland, BC, and The Nelson Community Opera and the Nelson Choral Society in Nelson, BC. In addition, Linnea has performed on the piano and the violin in the Kootenay Festival of the Arts for many years and also plays “fiddle” music. In addition to music, Linnea is also interested in science, earning a Bachelor of Science in Biology and a Bachelor of Science Honors in Pharmacology from the University of Alberta. 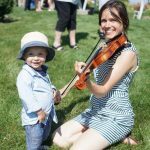 Linnea is also an avid volunteer, entertaining residents at long-term care facilities by playing familiar songs on the violin, and, during summer vacations, participating as a member of the Executive Committee for the Castlegar Communities in Bloom. 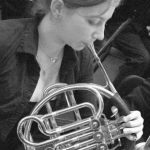 Karine Desforges has played the French Horn since she was 12 years old. She performed with the Youth Symphony in Montreal for 6 years, and was a musician in the reserve band for 2 years. Karine’s military life brought her to Kingston in 2007 and she has been playing with Orchestra Kingston and BrassWerks. She has now moved to Edmonton and is playing with the MET and CSO. Born in Lucerne, Switzerland, Daniel Graf moved to Edmonton only a few years ago to take up a position at the University of Alberta. Daniel completed his undergraduate and graduate PhD studies in Biology, Biochemistry and Immunology at the Swiss Federal Institute of Technology, Zurich Switzerland. His passion for biology has taken him from Zurich to Berlin, London, Athens, and now Edmonton. At the same time, his violin has never been far, which he says has helped him integrate with all the different communities. Daniel started playing the violin in primary school and since playing in the high school orchestra has joined a variety of different symphony and chamber orchestras in Lucerne, Zurich, Berlin, and London. He now has discovered Edmonton as the ideal place to follow his passion for music along with his professional endeavours. He currently plays with Concordia Orchestra, Metropolitan Orchestra and is a regular guest at Opus@12 lunchtime concerts in La Cite Francophone. Amanda Banister has been playing the violin since age 4. Growing up in a musical family allowed her many experiences playing and performing with her brothers. Upon attending the University of Alberta in 2008 to pursue a Bachelor of Music, Amanda began playing with the Wild Rose String Quartet. With the exception of a year travelling and working abroad, she has played with this ensemble ever since. In 2013, Mrs. Banister began working with the Edmonton Symphony Orchestra as the Education Outreach Coordinator. As part of her job assignment, she helped launch the Youth Orchestra of Northern Alberta. 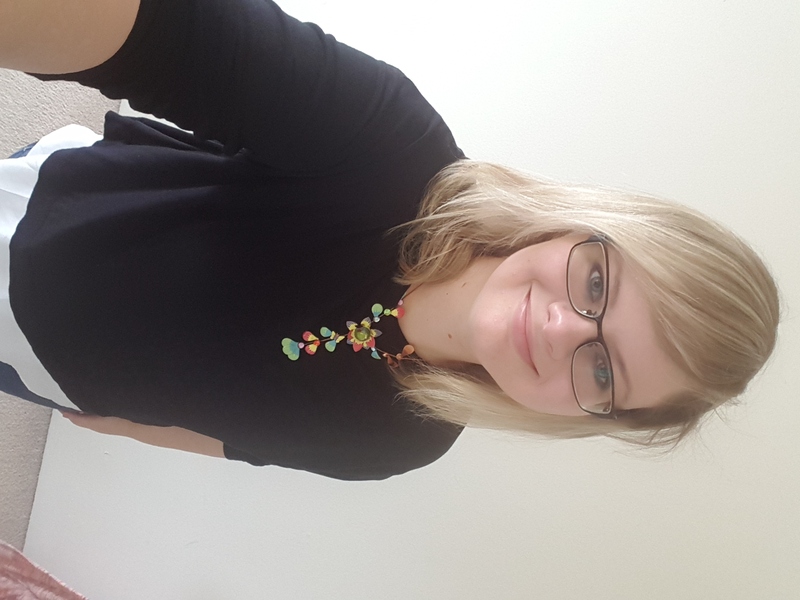 Amanda recently completed her Bachelor of Education and is currently a music specialist at Crawford Plains School. Rebekah Ney views music as a gift to be shared. She studied violin in Vienna, Toronto, and Montreal and is grateful for the compassionate investment that each of her violin teachers made in her life: Doris Dorer, Janet Wilchfort, Arkadi Yanivker, and Jonathan Crow. 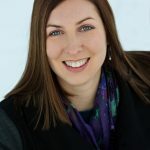 After graduating with a Bachelor of Music and Education from McGill University in 2010, Rebekah accepted a position as Children’s Pastor at Crosspoint Church in Edmonton, Alberta. Rebekah loves the unexpected career path that she has ended up on but continues to actively seek out opportunities to play her violin. It was while performing with the chamber-folk group, Dead Red Pine, that Rebekah met her husband. They now live in the Alberta Ave community and feel spoiled getting to participate in so many creative and diverse festivals right in their neighbourhood. Double bassist Benjamin Eldon grew up in Chatham, Ontario. He studied double bass under Jeffrey Stokes during his Bachelor of Music degree at the University of Western Ontario, in London, Ontario. He moved to Edmonton in 2009 to complete his Masters in Music degree at the University of Alberta, studying under the supervision of music theorists Henry Klumpenhouwer and Maryam Moshaver. He plays French-style bow, and for several years has changed his tuning on bass from fourths to fifths: C, G, D, A, one octave below the cello. Benjamin also holds a Bachelor of Education degree from the University of Toronto, and currently teaches for Edmonton Catholic Schools in the city. He lives in south Edmonton with his wife Bethany, also a school teacher, and 2-year old miniature Schnoodle, Holly, who enjoys active long walks in the neighbourhood, but falls asleep when her owner plays the cello or double bass.